WASHINGTON, DC (August 28, 2018) – The National Housing & Rehabilitation Association announced today that two Boston-based champions of affordable housing and development will receive NH&RA Affordable Housing Vision Awards in recognition of their stewardship and expansion of affordable housing opportunities for low-income families around the country. 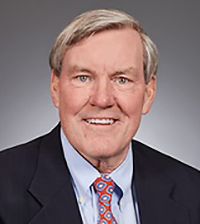 John W. Gahan III, Partner at Sullivan & Worcester and William “Bill” McGonagle, Administrator of the Boston Housing Authority, will be honored at an awards luncheon in conjunction with the NH&RA Fall Developers Forum on October 23 at the Harvard Club of Boston. “Our 2018 honorees represent the very best of our field. In their decades of work to promote affordable housing developments and policy, John and Bill have demonstrated leadership, commitment and, most importantly, imagination. From different professional settings, they have led teams responsible for the development and preservation of thousands affordable apartments across Massachusetts and the nation,” said NH&RA Executive Director Thom Amdur. Bill McGonagle was born and raised in a South Boston public housing development in a family of eight. He has worked with or on behalf of the public housing residents of Boston for more than 40 years. “Bill is a lifelong civil servant who has dedicated his professional life to the betterment of public housing residents in Boston. Throughout his career he has been directly involved some of the most impactful and transformational initiatives at the BHA including the integration of public housing developments in the 1980s and later the revitalization of numerous BHA communities through the HOPE VI and Choice Neighborhoods Initiative,” said Amdur. Bill began his career at the BHA in 1981 in the Department of Public Safety where he was selected for the BHA’s management training program. He served in numerous roles at BHA early in his career, including as a Development Manager, Area Director and Executive Assistant to the Administrator before being tapped as Deputy Administrator in 1991. Mayor Thomas M. Menino appointed Bill as Administrator for the Authority on June 11, 2009. He continues to serve in that capacity under Mayor Martin J. Walsh. He has been honored for leadership and public service by the Urban League of Eastern Massachusetts, the Mass Union of Public Housing Tenants and the South Boston Citizens’ Association. 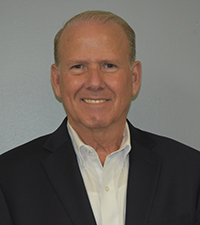 John Gahan began working in affordable housing as a young attorney in 1973, developing a law practice focused on multifamily real estate acquisition, financing, management and development. Throughout his career he has worked on numerous catalytic projects around the country utilizing state and federal Low-Income Housing Tax Credits, Historic Credits and Brownfields Credits and HUD Financing. He is a trusted advisor for a generation of affordable housing developers and professionals in Massachusetts and a dedicated affordable housing advocate, assisting in drafting numerous laws and legislation including Massachusetts’ landmark Chapter 40T legislation. John serves on the Board of Directors of NH&RA as well as Preservation Massachusetts. Press Contact: Thom Amdur, 202-939-1753, tamdur@housingonline.com. To learn more about the Affordable Housing Vision Awards and the NH&RA Developers Forum, visit www.housingonline.com. Each year since 2004, NH&RA has bestowed its Affordable Housing Vision Award to affordable housing and community development leaders who have made valuable contributions to the field and demonstrated years of leadership, commitment and imagination. Previous Vision Award Honorees include the late Mayor Tom Menino, former Congressman Barney Frank, Jack Manning of Boston Capital and Lisa Alberghini of the Boston Archdiocese Planning Office for Urban Affairs. Awards Luncheon Sponsorship Opportunities are available. The National Housing & Rehabilitation Association announced today that two Boston-based champions of affordable housing and development will receive NH&RA Affordable Housing Vision Awards in recognition of their stewardship and expansion of affordable housing opportunities for low-income families around the country. Pam Goodman, chief executive officer of Beacon Communities, and Chrystal Kornegay, Undersecretary of the Massachusetts Department of Housing and Community Development, will be honored at an awards reception in conjunction with the NH&RA Fall Developers Forum on November 6th at the Renaissance Boston Waterfront Hotel. The National Housing & Rehabilitation Association (NH&RA) presented two recipients with this year’s Affordable Housing Vision Awards. The awardees are Maurice Barry, Chief of the Asset Resolution Branch in the US Department of Housing & Urban Development (HUD) Multifamily Boston Satellite Office and Fred Copeman, Esq., Principal and National Director of Tax Credit Investment Services at CohnReznick LLP. Barry and Copeman were honored at an awards reception at the NH&RA Fall Developers Forum on November 1st at the Langham Hotel in Boston. Sheila Dillon, Chief of Housing for the City of Boston, and Bill Machen, a Boston-based tax credit attorney and partner at the law firm Holland & Knight, will each receive a 2015 Vision Award for their contributions to affordable housing and community development. National Housing & Rehabilitation Association (NH&RA) announced today it will honor Vincent F. O’Donnell, who recently retired as Vice President Affordable Housing Programs at the Local Initiatives Support Corporation, and Jack Manning, co-founder, president and CEO of Boston Capital Corporation, with its 2013 Affordable Housing Vision Awards for career achievement at a ceremony on the evening of November 13 at the Langham Hotel in Boston.